Fellow musicians refer to him as; “Mr. Blues, Rags & Stomps”, that’s because Barry Big B Brenner plays the Real Country Folk Blues which originated in the Mississippi Delta, Texas Plains, Piney Woods, Piedmont Seaboard, Louisiana Bayou and of course…Chicago’s South Side. Barry has performed all over the USA; from Alaska to the back woods of the Arkansas Ozarks, out to the California Foothills and many points in-between. He was Born and raised on the legendary South Side of Chicago and is a self-taught singer and acoustic guitar virtuoso. 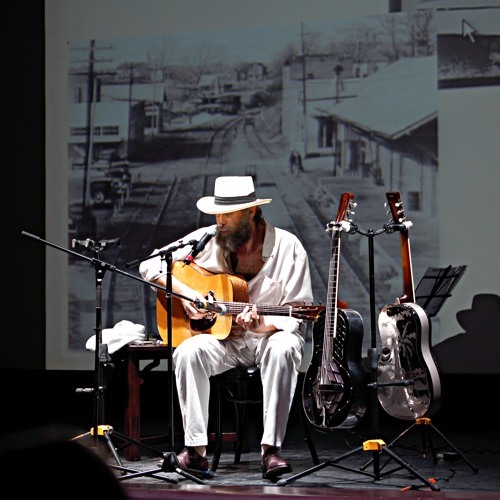 Big B is a lifelong proponent of Finger-style Guitar picking, mastering the genres of COUNTRY BLUES, RAGTIME and DELTA BOTTLENECK SLIDE...and always featuring 4 different, totally unique sounding acoustic guitars in his live performance sets. You’ll hear 6-String, 12-String & National Resonator Guitars, “the way they were always meant to be played.” A deep roots Blues Singer; Barry’s penetrating vocals evoke the true feeling and meaning behind the expression “Down Home Blues” and revitalizes PRE-ELECTRIC BLUES as a truly original American musical gift to the world.